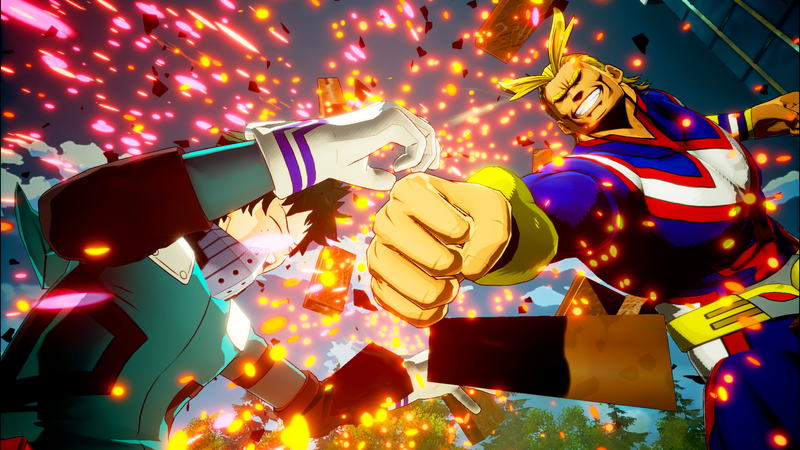 And here it is—popular Weekly Shonen Jump manga series comes to life as Bandai Namco Entertainment announces the release My Hero One’s Justice on August 23 for the Playstation 4 and Nintendo Switch. Experience the thrill of playing as fan favorites such as Izuku Midoriya, Katsuki Bakugo, Tomura Shigaraki, and many more in this arena brawler. Will you be the hero or will you play the villain? The choice rests upon you. Pick your side and choose between hero or villain in the fight for justice. With fan favorite characters, players will be able to choose up to two sidekicks to create the ultimate team. The two sidekick characters will provide crucial combo opportunities with their specialized moves, providing dynamic fights full of hard-hitting action. The explosive powers each character wields will wreak havoc on their opponents and the environment around them. The best players will use the environment to help defeat the opposition. 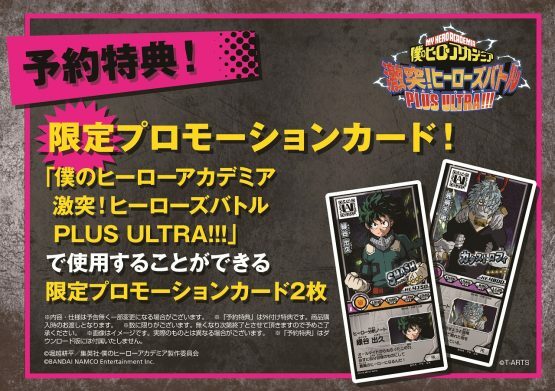 Japan preorders will have two exclusive promotional cards for the My Hero Academia Gekitotsu! Heroes Battle Plus Ultra!!! arcade game. 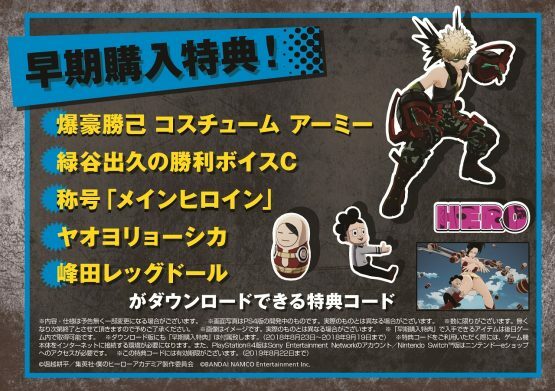 Additionally, it will include a “Customization Pack” downloadable content, featuring an army costume for Katsuki Bakugo, Izuku Midoriya’s Victory Voice C, a title “Main Heroine,” and accessories Yaoyorozu’s matryoshka doll and Mineta Leg Doll. For those in the US and UK, the game will be released within the year for PlayStation 4, Nintendo Switch, Xbox One, and PC.